Following up the announcement of the reissue of their highly-rated LP War Room Stories, set for release on 10th November 2014 on their own label Cut Tooth via Believe Recordings, British indietronic band BRETON have dropped a new track, fast and glam, called Titan that now is a video too. Directed by bretonLABS and Lexi Kiddo, the video is a crossroad of people fighting against their titans. Lead vocalist Roman Rappak explained that ‘Titan’ is “about feeling connected to a building, or it being part of your life, and then having it taken away.” It’s a bittersweet slice of indie as stark synth chords and vocals are tied together with a delicate background of violin strings. Alongside, the band have shared two others cuts from the bonus disc called Port Of Call and Exit Row. Listen on Breton’s soundcloud profile. 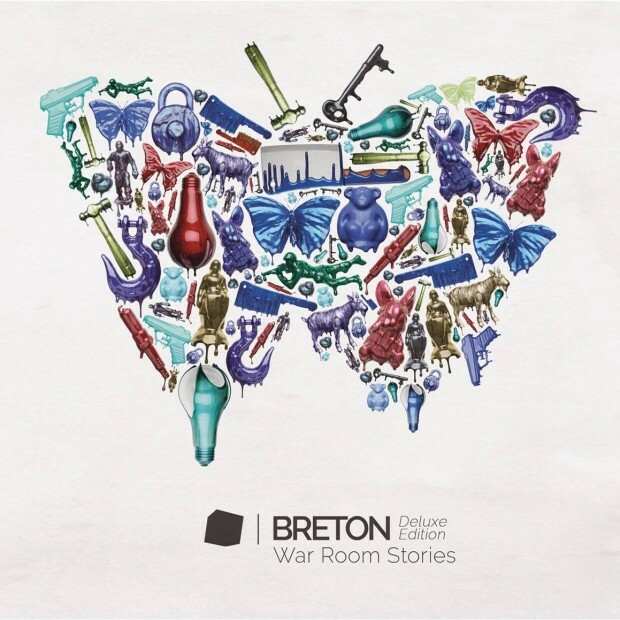 To promote the release of the Deluxe Edition of ‘War Room Stories’, Breton are embarking on a European tour ending with a much anticipated homecoming gig at London’s Heaven on 2nd December. If you want to see them on live stage, made your choice among options below.